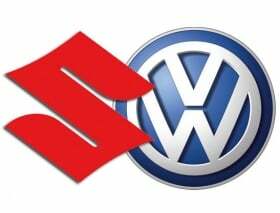 FRANKFURT – Volkswagen AG put on a brave face after Japanese partners Suzuki asked for a divorce on Monday. "There will always be talks," VW CEO Martin Winterkorn said on the eve of the Frankfurt auto show when asked whether the partnership was over. VW chairman Ferdinand Piech, who played an active role in initiating contact between Suzuki and Europe's largest auto maker, said it was now up to VW's managers to see whether the alliance could be revived. "That's for the operational guys to decide, not the supervisory board chairman," he said. VW shows no sign so far of wanting to give up its 19.9 percent stake in the Japanese company despite Suzuki's offer to buy back the stake. "We are pleased with our investment," said Volkswagen CFO Hans-Dieter Poetsch, adding that as far as VW is concerned the ball is now in Suzuki's court. "Suzuki has not stuck to the agreement. We have pointed this out to them and now it is up to Suzuki to react. The contract did not say that you communicate via the press that you don't want to continue the partnership." On Monday, Winterkorn said that VW is prepared for any possible downturn in coming months. "We are aware that success in coming months won't be handed to us on a plate, but we are well-prepared because this group has a strategy and a product range that allow us to respond flexibly to possible fluctuations on individual markets," he said. Volkswagen group vehicle sales for the first eight months of the year rose almost 15 percent to 5.4 million, he added. The increase would put VW in a strong position to challenge Toyota Motor Corp. and General Motors Co. as it aims to become the world's best-selling automaker by 2018.